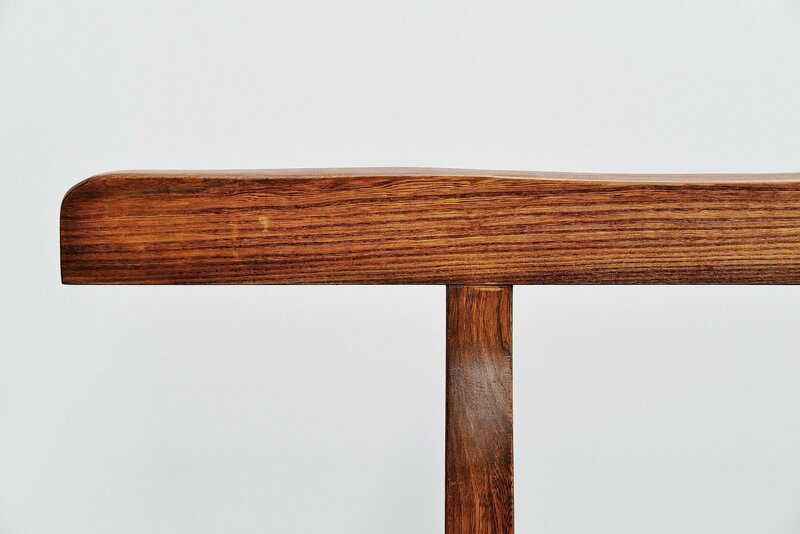 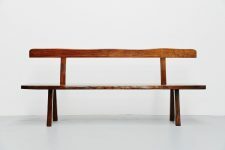 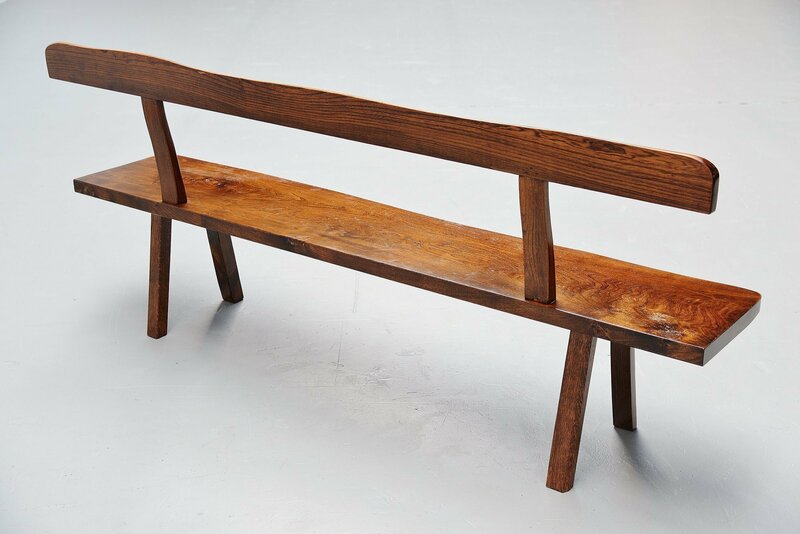 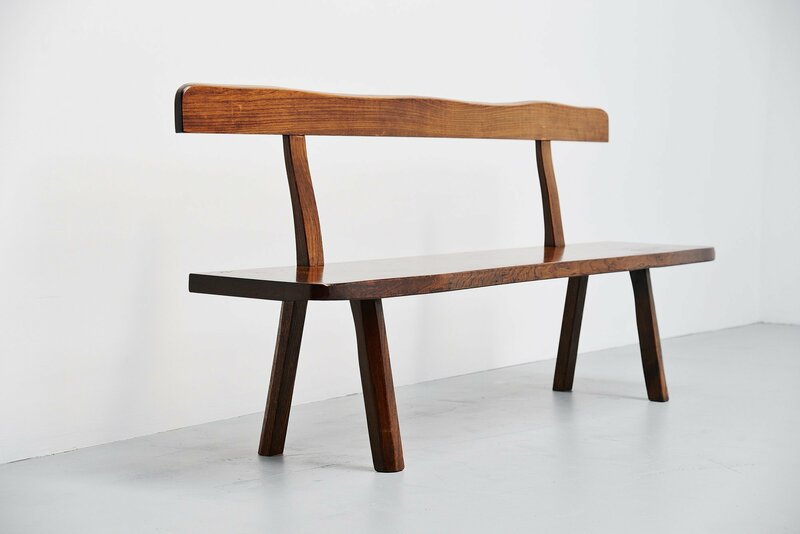 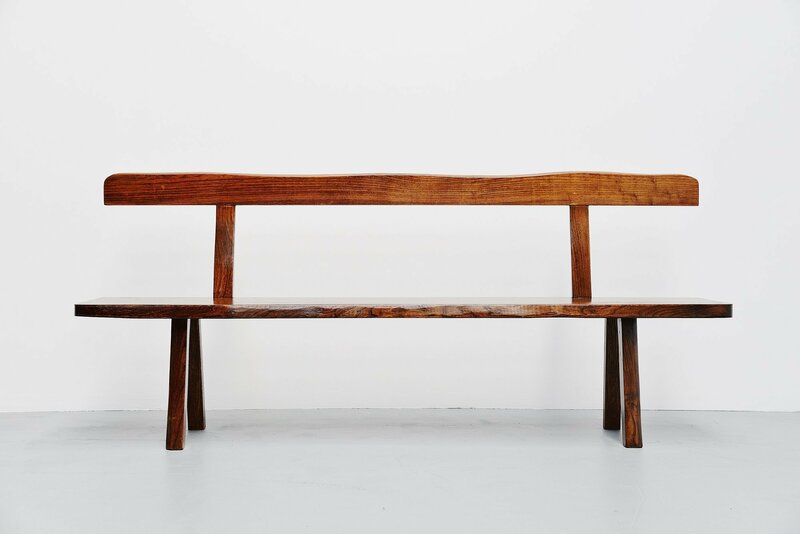 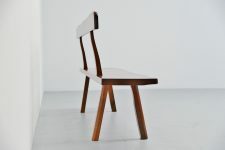 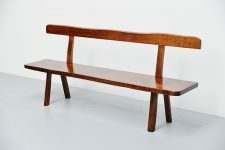 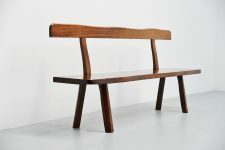 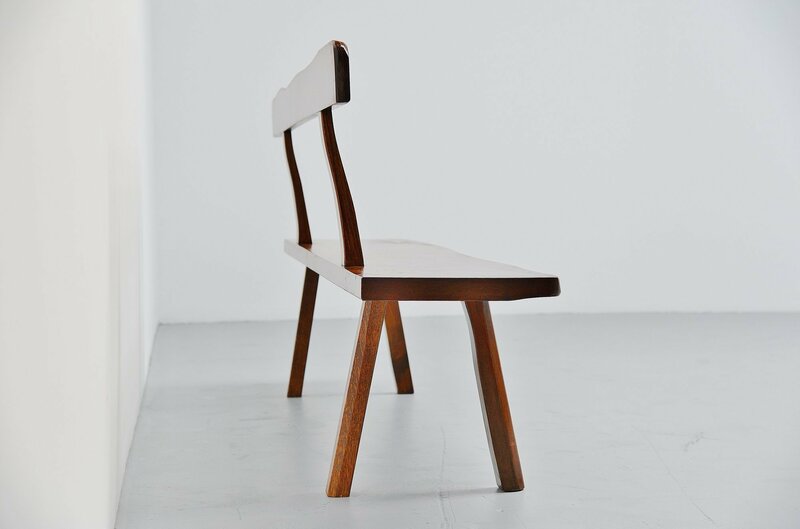 Very nice sculptural bench designed by Olavi Hanninen and manufactured by Mikko Nupponen, Finland 1950. This bench is made of stained elm wood, sculpturally crafted, hand made bench. 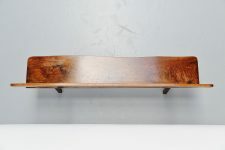 Very nicely shaped and in excellent original condition. 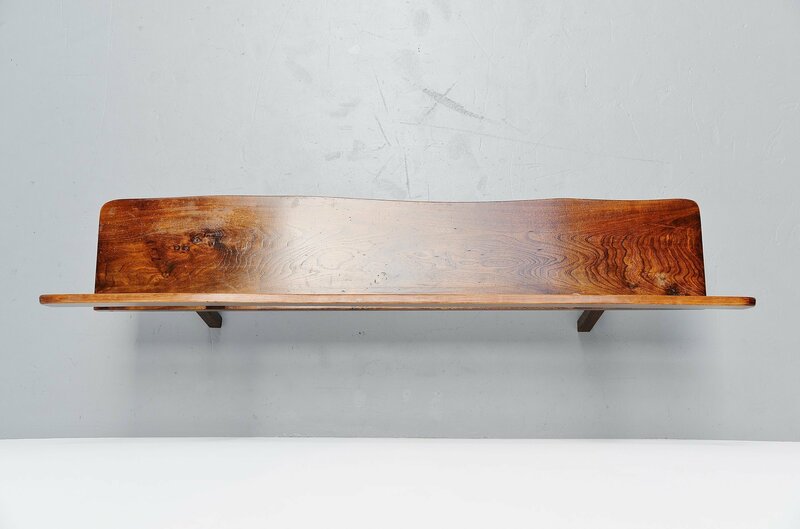 Very nice bench to put a side somewhere. 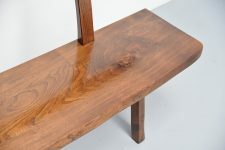 Also nice to use as dinner bench on a long table.